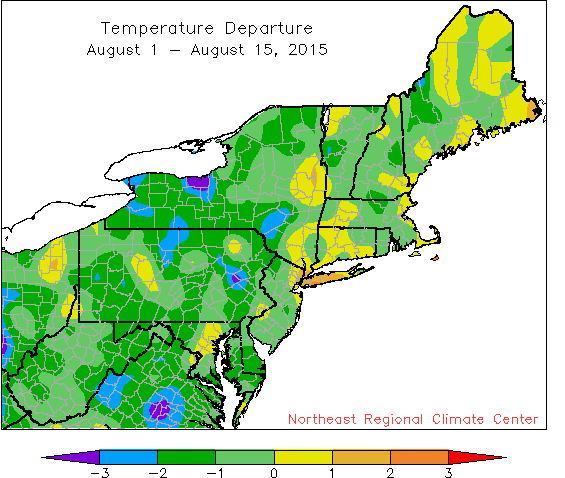 Most of the region has been quite dry so far this August. 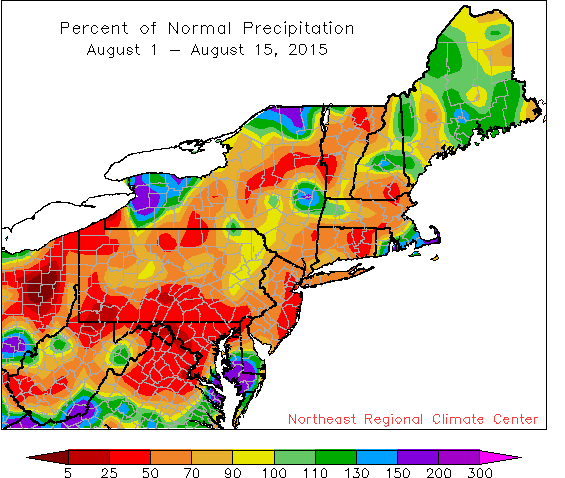 Rainfall has been noticeably lacking across much of the Northeast during the first two weeks of August. Departures have ranged from less than 25 percent of normal to 90 percent of normal for most areas. 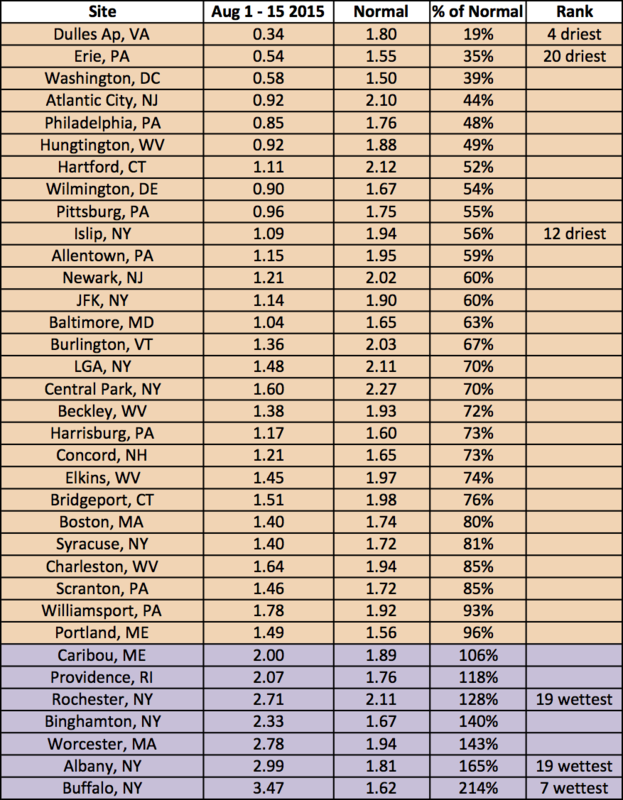 The recent lack of rain prompted an expansion of abnormally dry conditions in New Jersey, New York, and Connecticut. As for temperatures, departures have generally been within 2 degrees of normal, with most areas on the cooler side.